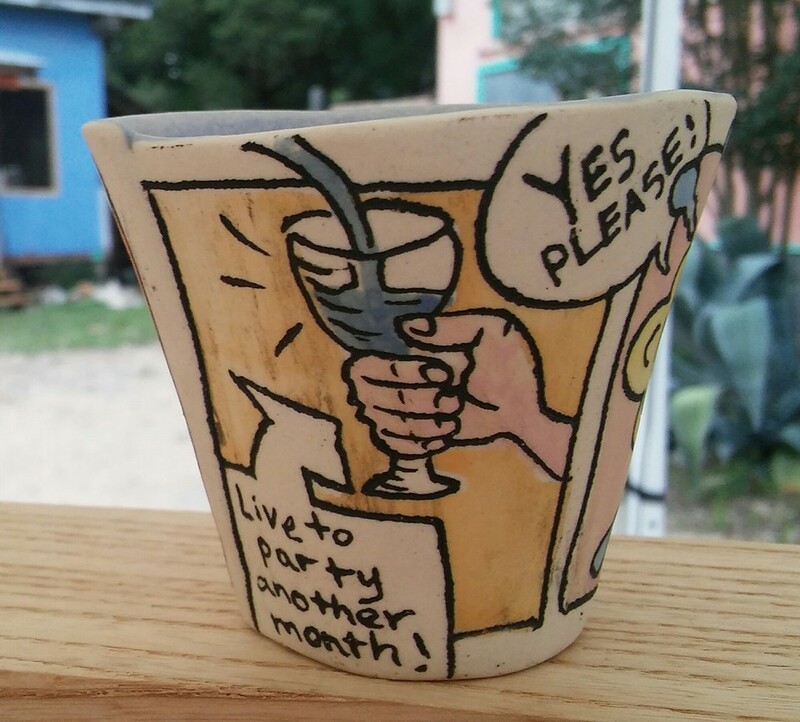 I have 80 brand new cups and shot glasses fresh out of the kiln. I'm test running a few of my new Lucky Tumblers. A drink from my lucky tumblers guarantees finding love, warding off unwanted pregnancies (pictured), and career success. I hope to see you Saturday 10-5 and Sunday 12-5 at the Eye of the Dog Art Center in San Marcos. We'll be there rain or shine!